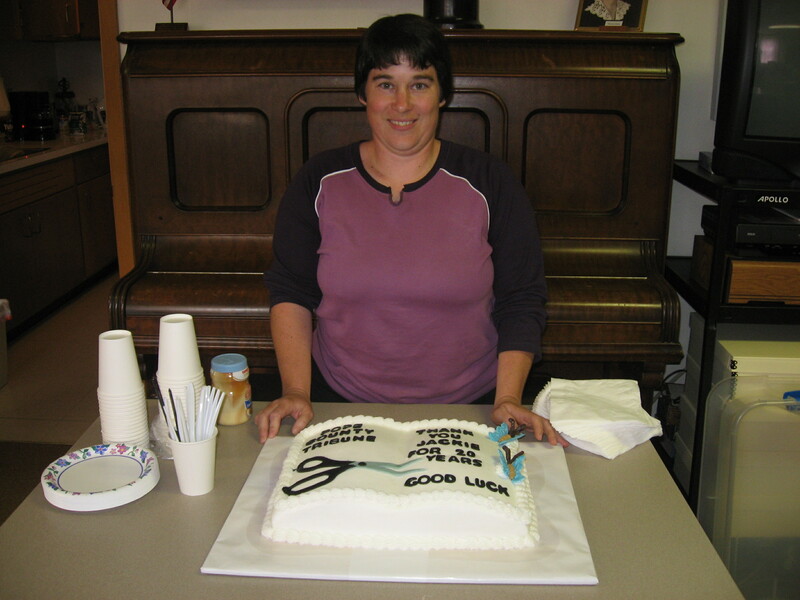 Today we said farewell to longtime museum employee Jackie Gartner. After 20 years of snipping newspaper articles, she is hanging up her scissors. Thanks Jackie for all your hard work! This entry was posted in Museum updates. Bookmark the permalink. It was nice working with you through the years, Jackie. You were always very helpful and I appreciated your kindness and dedication to the museum.